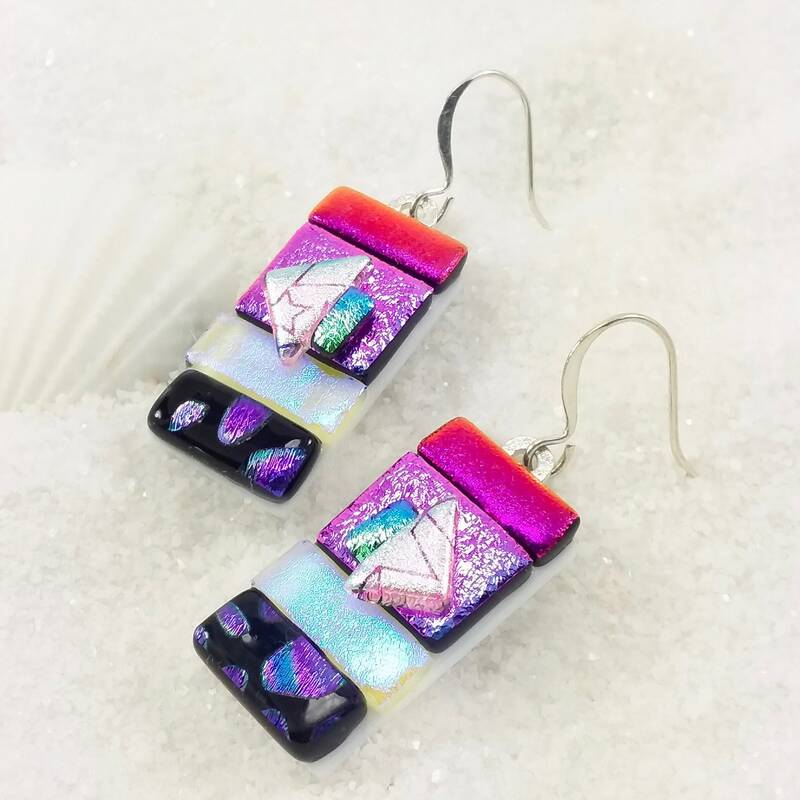 Fabulous dichroic glass earrings of hot pink, violet-pink, purple spots, shimmery blue, green and silver triangles! The base is pure white bullseye glass. These are SO PRETTY!! They are set with shiny sterling silver plated bails & ear wires! The glass measures 1/2" x 1"